Are you ready to have your heart broken? Even knowing her marriage was over, Grace was still attached to the idea that one day her husband would love her again, but though she wanted to keep the ilusion and convince herself that everything was ok, she's forced to face the hard truth when she comes back to the little Chester, her hometown where, once again, her world collapse. The last thing she wanted was to have to be in the middle of the small town gossip where everyone knew each other. But being the good girl she is, Grace accpets everything apssively, and soon things get even worse and she starts to losing herself. People who should help her, love her, are only pointing fingers to her, criticizing and whispering behind her back. And she still can listen to all those things... And it is Jackson Emery, the worst kind of bad boy, who comes to rescue her from her constant panic spiral. For a long time Jackson and his father have been the monsters and black sheep of Chester for many reasons, but even hating that town, Jackson keeps his dad's auto shop with his uncle's help. Besides needing to deal with the town everyday, he needed to look after his father, who use the alcohol as a scape from his pain. And it wasn't only his dad who was consumed by pain and hatred; Jackson is unapologetic and is always ready to attack. And let's say that he's not a very gentle/kind person and poor Grace was the victim of his venon many times. Even going through a hard time, Grace keeps still in her determination on not getting hurt by Jackson's manners towards her. And slowly she starts to see him in a new light: the way he taked care of his dad, how he was always carrying his old dog to the park, his daily visits to the book store... And she realizes that behind that mask, Jackson is a nice and kind guy but with a hurting soul, just like hers. Now seemed like with that new percpection, something else started to grown, something that let the air eletric when Grace and Jackson were in the same room or when they see each other at the streets. But there's a moment when a bomb explodes and it is to Jackson that Grace looks for help and, in a blink of an eye, everything changes. But the past shadows their lives, jeopardizing everything they take for granted... Would Jackson and Grace survive to all the revelations that were about to come to light? Or they never had a chance after all? I don't know how she does that, but it seems that in every book Brittainy C. Cherry outdoes herself! Seriously, it's one book better than the other! Evey time I get one of her books to read, I already know it's better read it with a box of Kleenex (not sponsored!) by my side, because the feels... Oh my God, the feels! I just couldn't stop reading it, I was hooked since the fist word until its final. I finished it was 4h30 am, next day I went to work with only 2h of sleep but it was worth it! Grace is a character that goes through a lot, so many injustices that is so hard to read, it breaks our heart with evey stab at tha back she takes from life. Besides all the desperate situations in her life with her husband and her family, even with her heart and soul shattered in a way beyond repair, Grace manages to take a step after step and keep walking, surviving. She didn't deserve all that crap... Guys, I don't have words to express how desperate I was with everything! And the stabs come from every corner, everywhere, she doesn't catch a break! FFS! But even with all that happening with her, Grace still shows a tremendous gracefulness, she's so strong... What an amazing character! Just like Grace, Jackson is a strong character and one point I must to highlight is his sense of loyalty... It's not easy to go through all those things and still care for the people around him, even showing the opposite to the others. 'Disgrace' lives up to its title. It's a stab after stab. The author plays with our feelings, shatters our emotional and leaves our hearts in dust. But even so I can tell you that 'Disgrace' was one of the best reads of my LIFE! My heart is broken but I highly recommend this amazing book, totally worth it! 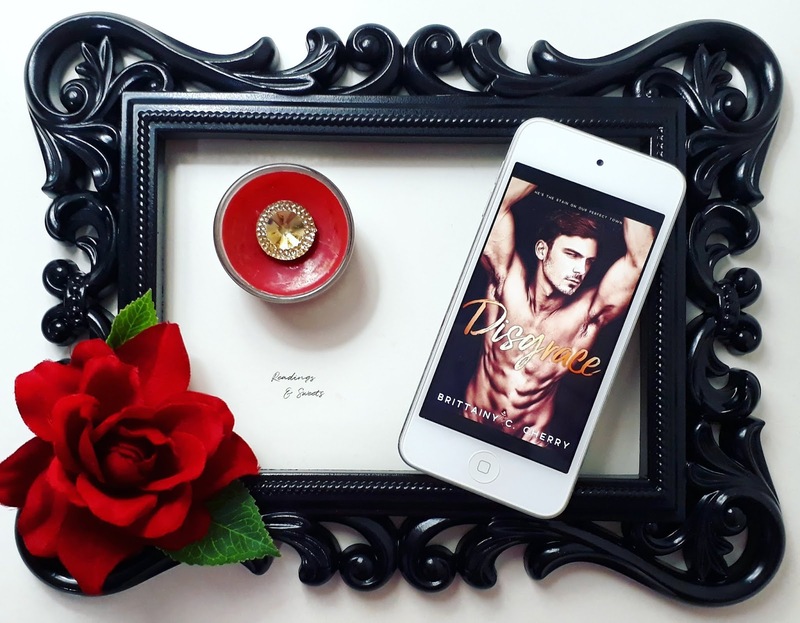 'Disgrace' is also available on Kindle Unlimited!